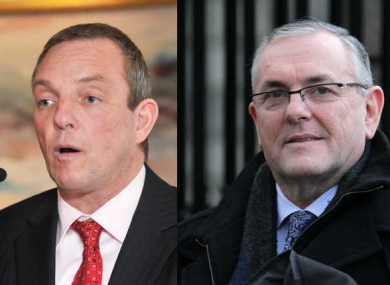 TWO OIREACHTAS COMMITTEES are at odds over which one of them should investigate the controversial spending of HSE funding by Hepatitis C support group Positive Action. Health Committee chairman Jerry Buttimer has accused some TDs on the Dáil’s public spending watchdog, the Public Accounts Committee (PAC), of “an insatiable appetite to perform in the media” and insisted that his committee should investigate the spending. Buttimer was reacting to PAC agreeing last week to investige allegations around the use of HSE funds by Positive Action for a number of extravagant purchases on travel, conferences, food and courses. The matter is also being probed by the gardaí. But responding to Buttimer, PAC chair John McGuinness insisted that Positive Action “very clearly comes within the remit of the PAC”. At its meeting last Thursday the PAC agreed to seek a report from the HSE on the spending and determine which former members of the now defunct support group could come before it. Buttimer’s own committee has also sought a report from the HSE and the Fine Gael TD told TheJournal.ie that as “the line committee of the HSE” the Health Committee is “the appropriate forum for the report to be discussed and considered”. “The Positive Action group are not under the auspices of the Comptroller and Auditor General (C&AG) and therefore PAC have no jurisdiction regarding it,” he insisted. Buttimer described the latest development as “another example of PAC rushing to grab headlines without necessarily reflecting on what their role and remit is”. He added: “The issue of role of PAC as a watchdog needs to be looked. There is a conflict between what they were set up to to do and what they’re doing now. HSE director general Tony O’Brien told the Health Committee last week that as a section 39 agency Positive Action is not audited by the C&AG and said he was happy to release the HSE audit report to Buttimer’s committee once it is cleared legally. But McGuinness, a Fianna Fáil TD, insisted PAC would be “dealing with [it] regardless of what Jerry Buttimer thinks”. He described questions about the committees remit as “nonsense” as it concerns the spending of public money that had been allocated by the HSE. Email “Who should investigate the Positive Action controversy? These two TDs can't agree”. Feedback on “Who should investigate the Positive Action controversy? These two TDs can't agree”.